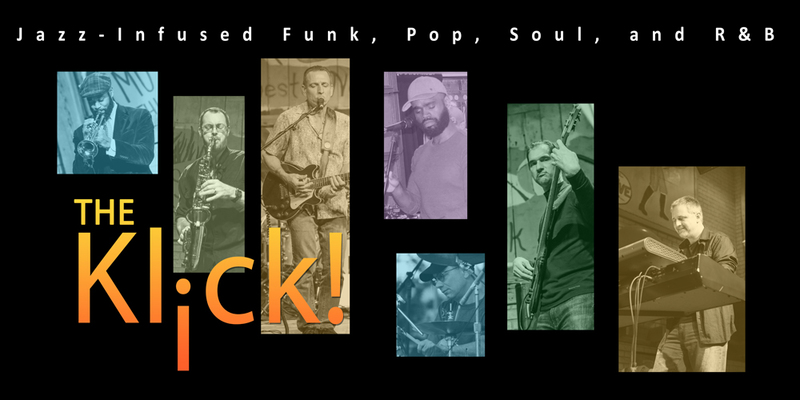 The Klick is a 7-piece band that hails from Rochester, NY and plays a Jazz-Infused mix of Funk, Soul, Pop, and R&B. 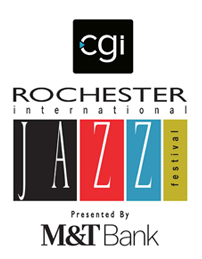 The band boasts some of Rochester’s finest musicians including current and past members of Hard Logic, Prime Time Funk, Goodness, Vanishing Sun and The Elementals just to name a few. The infectious groove they lay down, along with their unique selection of material, has people smiling from the first note all the way to the very end of every performance. In addition to The Klick you can find Harper singing original music with The Elementals. His growing list of influences include, Raphael Sadiiq, John Legend, Musiq SoulChild, Frank Ocean, Stevie Wonder, D'Angelo, The Black Keys, Hiatus Kaiyote and more. From a musical family who have all left a mark on the local scene, Tony's jazz laced guitar riffs, deep groove, and gritty, soulful voice are an integral part of The Klick. Watching and listening to his older brothers and their bands growing up gave Tony a solid musical foundation. And, when you add a couple of years at the University of Miami studying music and performance, and then the last 25+ years working with area bands, too numerous to name here, it's easy to understand where his repertoire of infectiously interesting fretwork and bluesy, raw vocal prowess come from. His songs have been played on over 100 Radio and Internet stations around the world and have reached the top 10 playlists in 3 major markets in the U.S. In addition to playing music, Greg is also an experienced studio engineer who owns his own recording studio. Quinn earned his bachelor’s degree from Eastman School of Music and a Masters Degree from University of Cincinnati College Conservatory of Music. Michael Edwards has been playing and teaching Music in Upstate New York since he graduated from the Crane School of Music in 1990, where he was a winner of the 1988 Crane Concerto competition on Soprano Saxophone. He has always enjoyed being a multi-instrumentalist and has studied Saxophone, Violin and Viola extensively, though has been known to perform on most Woodwind instruments. He has shared the stage with numerous big bands, Jazz groups and party bands, and has appeared with artists such as Vic Damone and Wessel Anderson. Michael has been a member of Prime Time Funk since 2008, and with that group has been fortunate to be a part of the Rochester Music Hall of Fame House Band since its inception in 2012. In that role, Michael has had the good fortune to play with numerous Musical celebrities, including Gene Cornish, Rudy Sarzo, Cathy Sledge, Bob McGrath (Bob from Sesame Street), Lou Gramm, Cecilia Calloway, Carmine and Vinnie Appice, Reginald Torian (The Impressions), Russell Thompkins (The Stylistics), and this past year, Michael had thegreat fortune to Jam with the original James Brown Horn section, including Pee Wee Ellis, Fred Wesly and the great Maceo Parker. David Pinto is originally from Smithtown, N.Y. (on Long Island), but has been a resident of the Rochester, N.Y. area since 1993, except for a four-year break during which he attended Berklee College of Music in Boston. After leaving Berklee, David relocated back to Rochester and has since been associated with many regional acts in a variety of genres, including jazz, funk, rock, latin and big band, in addition to doing recording sessions and working in pit orchestras. In addition to The Klick, his primary project has been Hard Logic, an all-original jazz-fusion band. Throughout the 70's and 80's Billy played in a number of local Rochester bands including The Neil Marvel Goodtime Band, Sweet Feelin', Last Exit, Yankee, Frontline, and Lickety Split. In 1985 Billy left Rochester and spent many years as a studio and touring musician in Nashville. As a session player in Nashville, he regularly worked with bass players Dee Murray, Willie Weeks, and Bob Babbitt. In addition to session work, Billy was the drummer for Ricky Van Shelton, Dave & Sugar, and toured with Reba, The Judds, Alabama, Randy Travis, Clint Black, Highway 101, Lee Greenwood, Alan Jackson, Willie Nelson, George Jones and many others. In addition to touring, Billy played on several TV shows for The Nashville Network including Nashville Now (the old Ralph Emery program), The Grand Ole Opry, and Hee Haw and also appeared on The Tonight Show with Johnny Carson, The Grammy Awards, Austin City Limits, The Country Music Awards, The American Music Awards, and The Peoples Choice Awards programs. Recently, Billy was the drummer/band leader for Nashville singer-songwriter, Sean Patrick McGraw and the founder of the band Goodness. Billy is the founder/band leader of The Klick. Billy continues to work as a session player here in Upstate New York having played on sessions for Russell Thompkins Jr., Jackie Gore, Krista Marie (The Farm), Claudia Hoyser, Kate Lee (O'Connor Band), and many others. He was also a member of the all-original jazz-fusion band, Hard Logic.